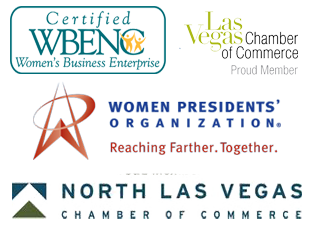 The convention and trade show busy season is fast approaching. Trade shows like the Consumer Electronics Show, Automotive Aftermarket Industry Week, and numerous other conventions are gearing up now for their annual conventions. 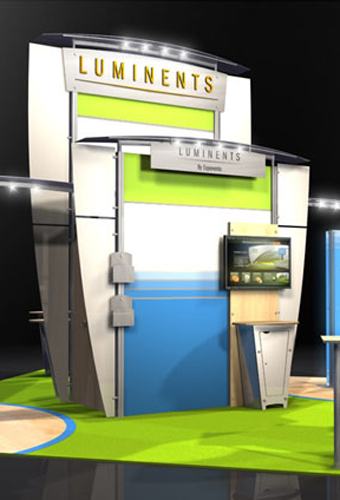 Businesses that succeed at these events know the importance of exhibit booth design. 1. If you want an exhibit booth design that attracts crowds and appeals to people then why not add an interactive gaming area? Many visitors will want to take a break for a minute, and a game that is relevant to your business and products can continue the theme of your booth while drawing people in and giving them a positive image of your company. When you choose to use interactive exhibit booths this shows that your company is cutting edge and stays on top of the latest technology and innovations in the industry. From our article, 7 Reasons to Use Interactive Exhibit Booths at Trade Shows. Click here to read the complete article. 2. Use information as well as trade show banners to appeal to those who attend trade shows. Since the people at these events are already interested in the industry, you can offer resources and information that is useful or helpful in some way. This may be a report, a white paper, or even a compilation of facts and statistics that are relevant. 3. Include a second story in your exhibit booth design if this is an option. This may seem like a costly move but it can help your exhibit tower over your competition and help you stand out nicely on the event floor. This is an impressive way to draw larger crowds if your budget allows it and the trade show you are exhibiting at has the required space available. 4. Use trade show banners in creative and innovative ways. Instead of using an arrow why not use a banner with your company logo and your booth location to help visitors navigate to your company area? This is just one of many ways that you can use these items to help set your exhibit area apart. 5. 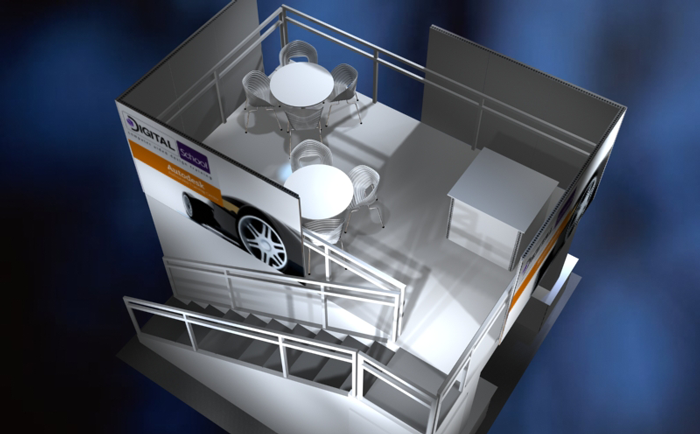 Use taste, smells and aromas as part of your exhibit booth design and you will find that more people visit your booth. You may decide to offer popcorn, coffee, freshly baked cookies, or another item instead. The tempting smells will cause people to automatically head in your direction, often without even thinking about it. There’s nothing like a personal taste to leave a lasting impression. 6. Order a variety of trade show banners with different designs, sizes, and shapes. This will allow you to put these items up in more places and ensure that you get maximum exposure for your brand and your products. 7. A consistent exhibit booth design is important but this does not mean your area has to be boring or look monotonous. Add plenty of colors that complement each other for eye catching visual appeal. This will ensure that your booth is noticed. 8. Add a photo booth to your exhibit booth design and let the fun begin. This addition allows visitors to take their own customized photos, and you can add your company logo or other details as well. The visitor will want to keep the photo and they will remember you every time they look at it. Photo booths are very popular at these events. 9. In addition to trade show banners, why not put a massage chair or other stress reducing activity at your booth? People will flock to your area to relieve a little stress, and they will learn more about your business and products while they relax. 10. Include interactive components with your exhibit booth design if you want your display to have maximum appeal and pull in numerous visitors. This helps to engage your traffic and makes them think of your company in a positive light. 11. Leave area for a computer and small workplace under at least one of your trade show banners if you want to draw people in with your exhibit booth design. It is possible to rent a system for this purpose but you may be better off providing your own computer so that you know it is virus free and that it contains all the software that you want and need. 12. Before you decide on a final exhibit booth design, make sure that you have considered the traffic flow. If your design does not help direct an ideal flow of traffic then your booth and area may become congested, and this can prevent people from stopping by to see you. What other exhibit booth design ideas can you offer that can help draw in more traffic?